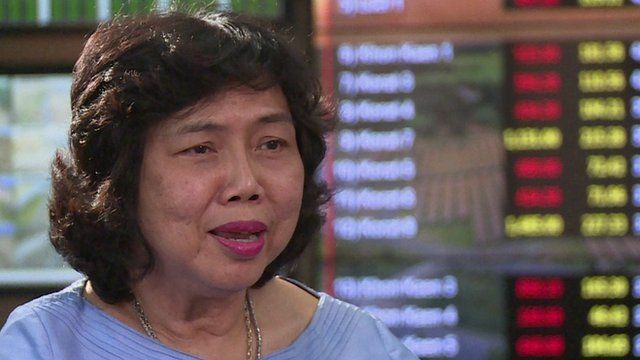 Thailand's gender equality lesson Jump to media player What can Thailand, which has a high number of senior businesswomen, teach other countries about gender equality? The importance of change in business Jump to media player What's the best way to keep a company's spirit alive while at the same time trying to modernise it? How should firms handle uncertainty? Jump to media player Natural disasters and an unstable political environment mean an uncertain environment for Thai companies. How do they cope? Why having a diverse workforce pays Jump to media player Having a more diverse workforce can create real benefits, so what's the best way for companies to reap them? 'Purpose driven' generation? Jump to media player "Millennials" - those born between 1980 and 1999 - aren't motivated by the same factors as previous workers, so how are companies going to attract and retain staff from this generation? How do you manage a unicorn firm? Jump to media player What exactly is a unicorn firm and what's the best way to manage one? How to manage the consultants Jump to media player How can chief executives get the most out of using management consultants? Almost a third of senior business roles in Thailand are held by females. That's a big contrast to many other countries where traditionally business has been dominated by men. How can the rest of the world follow Thailand's example and what benefits can female leaders bring?